Are you that person who owns all or most of the new and available technology, I.e. A Kindle, an IPad, a laptop, a camera, a smart phone, or something that has all of that in one single gadget? Are you that person who instinctively knows how to use the stated above? Do you get giddy when you’re about to step into Best Buy? Do you take notes on your laptop? Are you an ITA on your campus? If you have answered “yes” to more than one of the questions above, you are an authority endowed with the gift of technological savvy and I am but your grasshopper. I feel like I just failed an exam. Probably because when you say “no” you’re essentially prohibiting the gaining of something. Thus, some kind of net loss results. In other words, my answers, when added up into a numerical value, would equal zero. I am not one of those promoters of regression. I don’t want to go back to a time where homes were kept unlocked and the concept of personal space was unheard of. And so I took the plunge and invested in a camera. So that I can be technologically savvy by researching the camera I want according to budget, style, and power - all on my own. 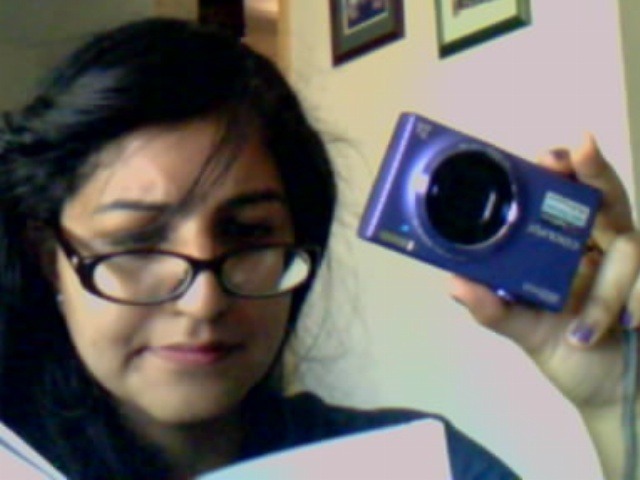 I invested in a violet Nikon Coolpix S6100 and was excited to open up the box I got hours before, even after coming home from a family-friend party the next day at 1 AM and as a result, having a headache because I was pensive and contemplating my social awkwardness. (In full disclosure, superficiality was rampant in that get-together and so I’m not to blame.) My excitement quickly dissipated and was reincarnated into defeat as I was stumped as to which way I had to put the battery in - step two of the starter guide, I believe. However, probably the most important reason for buying this camera was because I was so over my disconnect from technology - having a fairly new Blackberry which I can only use to text and make a call, not knowing how to or where to download music from, deleting my entire ITunes music library unintentionally after getting my cousin to download songs for me, not knowing how to use a DVR, and being confused as to what Google Chrome and Google Plus are. I wanted to, like any aspiring physician, remedy the fracture. I wanted to put a band-aid on the disconnect between me and technology. I wanted technology and I to be more than just united as two entities; I wanted me and technology to be meshed; Just as the new skin forms against the old skin until you peel off the band-aid and can no longer distinguish between the old and the new. I’m living in the 21st Century. The binary code should be the corollary to the alphabet for my entire generation. Like I mentioned before, I do not travel. However, looking at the hundreds of photos my friends/acquaintances have taken, I decided I did not want to live vicariously through them anymore. I didn’t want to look through their Facebook albums and think that I was not doing enough, when in fact I am doing more than enough. I was capable of using technology too! Living in New York City and being an avid walker, I am pretty sure that I have come across an immense amount of photo-worthy encounters that have made me think that life was stress-free and just one happy exploration of my surroundings at some point or the other. I just haven’t had a camera to document those occurrences.